Let’s go to fantasy land for a minute. Imagine there is a river which when you drink from it, you instantly become inspired. I’m pretty sure everyone will want to have gallons of that water at home and drink it every day. But, unfortunately, such a river doesn’t exist. So, if we can’t drink water that inspires, where can we get inspiration? This post will explore where inspiration comes from and why it is important to writers. 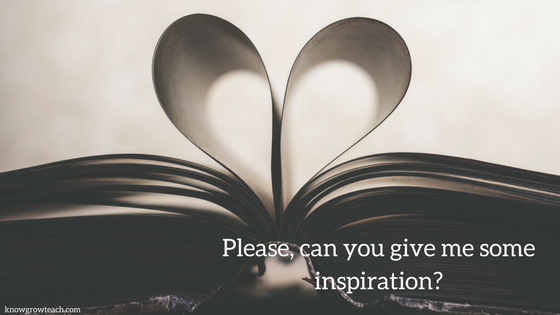 To start off let’s tackle a burning question, which is: what is inspiration? The thing is we all know what inspiration is. We are aware of it. We have seen it. Someone in our family or a friend has been inspired because they are always in a creative state of mind. But what we don’t know is how they got inspired? Was it something they found? Or did something happen in their lives that led to inspiration? To answer these questions, let’s explore what inspires some creatives who work in different industries. It sometimes feels so innate, so natural to me as a writer, and I think I find inspiration in many places and spaces…Reading other people’s writing gets my imagination working. My photography is inspired by both internal and external realities. For the series called “ Nap Time” I took a situation in my life with my son that was stressful for me. My son would not nap and I wanted more “me” time. So instead of suffering, I created a ritual of taking photos of my son and I as soon as he fell asleep. This transformed a situation that caused me stress into the most amazing experience. I now have hundreds of these photos of our naptime together and have documented our relationship during this once-in-a-lifetime experience with my son. My biggest source of inspiration is nature. I’m drawn to green plants and bright flowers. I almost instinctively choose the more natural products to represent my own brand (natural wood USB drives, kraft envelopes). See their full comments here. After reading their comments, my conclusion is that inspiration comes from the following factors. Inspiration comes from things that are external to us. And external sources can vary. It can simply be the view of a breathtaking sunrise, or it can be books you have read. However, the most common source of external inspiration is other people. They are everywhere. You find them in your daily life. You find them by reading books. You find them by meeting new people. External sources are not the only source of inspiration. Inspiration also comes from new experiences. Experiences such as travelling to a new country, or attending a concert of your favourite artist for the first time, or visiting a part of your city you’ve never seen before can lead to that “aha” moment. Sometimes you already have your ideas, but you need a connector. That connector might come from something that happened to you in the past. When we read new stuff or get new experiences, your brain takes in a lot of information and retains it, keeping it for use in the future, even though you might not be aware. So when that time comes when you need a spark in your creativity, your brain goes into its archives and searches your previously known thoughts and boom, you are inspired by some information you picked up years ago. That’s why they say; No Knowledge is ever lost. You want to write to next viral post. You want to write the next New York’s best seller. But, as you probably know, to write an epic piece of work you need inspiration to give your words life. That’s why, as a writer, we must always put ourselves in environments that breed inspiration. Writing can get difficult at times, but when you around other writers – physically or virtually – you can always tap inspiration from them. In the past, people thought inspiration was a divine power or spiritual event. Inspiration comes from a mix of things. External factors, new experiences, your environment, and your thoughts influence your creativity. To find it, you have to open your mind to the unknown. Furthermore, if you’re trying to force inspiration on your self, you might never find it. Relax, take things easy and look around. Your inspiration might just be right in front of you. You can read more books with a more open mind. You can look at your environment and the people around you to see if any one has any quality you admire. They can be a source of inspiration. Also, you can try new experiences. You don’t know if your idea for your new book or product might just come from travelling to a new location or doing something you have never had before. If you found this post useful, please share with your friends and family. You can also look around my blog to get more ideas on growing your creative career. P.s There is a signup form on the side. Please sign up so you get my latest post once it goes live.